The Taylor Review of Modern Working Practices (‘the Taylor Review’), made detailed recommendations for reform of UK employment law in respect of those who are not engaged as traditional employees, both in the “gig economy” and elsewhere. For further detail on the background of this Review please see our updates here. We updated you in our February 2018 Newsletter Government reforms (2): Employment status – Government response to the Taylor review, that the Government had published its response to the Taylor Review, which was the ‘Good Work’ plan in which the Government set out its plans on taking forward the Taylor Review proposals. Enforcement of employment rights recommendations. The Government has updated its ‘Good Work Plan’, available here. The Plan draws on the feedback to its consultations. There is no timetable yet for the majority of the changes and no legislation is included in the Plan. The legislation to implement some of these changes will need to be closely examined when it is eventually published, but these proposals will make the next couple of years an interesting time for employers. Continuity of employment: The Government has taken up the Taylor Review suggestion that continuity of employment should not be broken by gaps between work of up to four weeks. This is an increase from the current one week. 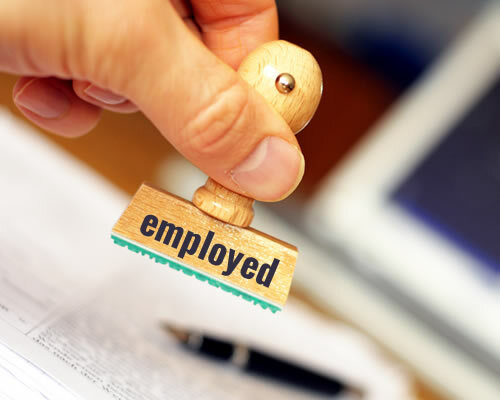 Employment status: The nature of the employment relationship is key to determining an individual’s employment rights, as employees, workers and the self-employed have different rights and protections. The Government has committed to legislate to ‘improve the clarity of the employment status tests, reflecting the reality of modern working relationships’; and to bring forward detailed proposals on aligning the employment status frameworks for employment rights and tax purposes. Any clarification of employment status would be very welcome but the Good Work Plan does not go into any detail on what the new aligned test might look like. The Taylor Review recommended that the employment status test should place more emphasis on control and less on the (often rarely exercised) right of substitution, something discussed in the consultation which took place earlier in the year. If the right is merely to request a new pattern, how effective will that be in practice? If the right is limited to those with 26 weeks’ service, is that adequate to assist those with short-term flexible arrangements? Agency workers (with effect from 6 April 2020): Agency workers can currently exchange their right to be paid equally to permanent counterparts if they enter into a contract guaranteeing pay between assignments (the so-called Swedish derogation). In response to evidence of the derogation being abused by some employers, legislation is to be brought forward to repeal it and ban the use of contracts which withhold agency workers’ equal pay rights. In addition, all employment businesses are going to be required to provide agency workers with a Key Facts Page. Specific information will have to be given on the type of contract, pay and deductions. Holiday pay (with effect from 6 April 2020): The Taylor Review highlighted that both individuals and employers would benefit from more transparency over holiday pay. To do this the Government plans to launch an awareness campaign and introduce new guidance. Also, in response to difficulties experienced by atypical workers in calculating holiday entitlement, legislation will be introduced to extend the holiday pay reference period from 12 to 52 weeks. Written statements (with effect from 6 April 2020): At the moment, after having worked for a month, employees have a right to a written statement of certain employment particulars (which must be provided within two months). The Government is going to legislate to extend the right to a written statement to all workers, as well as employees, as a day one right. More information will have to be provided than is currently required, including details of all types of paid leave (e.g. maternity and paternity leave); and the duration and conditions of any probationary period. Works Councils: Employers are currently required to set up a works council where 10 percent or more of the workforce requests this. The Government plans to lower the threshold from 10 to two percent of the workforce, making it easier for a minority of workers to insist on a works council. Tips: The Government will legislate to ban employers from making deductions from staff tips. Sanctions and enforcement: In an effort to make the system for enforcing employment rights clearer, fairer and more efficient it is proposed that a single enforcement body will come into force in early 2019 to better protect vulnerable workers; new powers will be created to allow investigations by the Employment Agency Standards Inspectorate into umbrella companies (particularly where it is suspected that agency workers have received inadequate pay); and state enforcement of workers’ holiday pay rights will be introduced with payment of arrears backed up by financial penalties (similar to the enforcement of the national minimum wage). Also, as mentioned above the hardly ever used aggravated breach penalty will be increased from £5,000 to £20,000 in April 2019 and sanctions imposed on employers who have lost a second Tribunal case on similar grounds to a previous claim. The Government also plans to ‘name and shame’ employers that fail to pay Tribunal awards.